I’ve been involved in 100s of 6 figure deals but only 5 9 figure ones. One infrastructure bid ($2.6B), 4 IT outsourcing bids (all around $1.2B), well the clients won them all, we, as some of them like to point out only do the presentation and the pitch is so much more than just the final face to face. I have done one other bid worth this kind of money, and the client actually lost it TV sports rights for International Cricket.. but the team who won it, won it on price and subsequently went bust over it, thus proving that sometimes losing is the best result! So I’m not sure how qualified I am to offer sage advice about winning 9 figure deals but my experience of them is that they are pretty much the same as 6 figure ones… and on those I’m pretty experienced, 76% hit rate on over 150 deals over the last 15 years. The last $Billion I worked on cost the bidder £4million, which even at a low percentage profit of say 5% is an amazing ROI but for each winner there are at least 2 losers, in the last one 6! And they didn’t get a good return; they got nothing (although I think some of them may have got fired!). When I’m asked to join a bid team I try very hard to persuade them to No Bid. I rarely succeed, but the last few times I have, they eventually won the deal. Purchasing need to run a process and in order to run a process they need you to bid so especially if you are the market leader saying no generally gets an indignant “Why Not?” which gets us in at the ‘C’ suite to talk about why the bid is flawed and how as it is it will fail and how if they change the plan it will succeed and of course then, we would be happy to bid. In my experience No Bidding fleshes out the real deals from the smoke screens, gains you access to the right people and allows you focus on the deals that are real and winnable rather than just desirable. All too often presenting is a one way flow of information. The more dialogue you can get the easier it is to win. If the prospect wants to talk, let them. In fact we plan it, nurture it, manipulate it. People are much more likely to buy a plan they helped develop the more they feel ownership of it the more they buy into delivering it. We have had great success at getting prospects to join in, drawing the solution with the presenter. When at the next meeting the diagram is presented back to them.. the team hit a home run. All that effort, all that time, all that money and you show up with home made slides.. Nothing says lack of commitment like DIY. Get professional help for the presentation, for the RFP, use designers, use coaches, use experts. As I like to point out when a client tells me that my fee is expensive.. it’s a dam sight cheaper than losing! Straight out of Sun Tsu, battles are won and lost on the quality of the intelligence you have. You never know the truth, you can never ask too many people for intel. Develop coaches, hire consultants, lobbyists, ex-prospect employees, current employees family; anything that can give you better intelligence. The ones that lose are the ones who think they know the truth. So winning a $Billion deal is a big thing, but so is spending a $Billion. 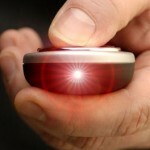 The key decision maker probably has an ego the same size as yours. They want to be listened to, they want to talk and they want you to respond. Be wary of being sycophantic and remember you don’t get to the position anywhere where you have to make a $Billion decisions without being Very Smart, Very Ruthless or VERY VERY lucky. Clearly doesn’t need an explanation, bullet-points are best left to the competition. You can’t have not noticed the rise of YouTube. From nothing 10 years ago to 2 billion views a day now. On average humans watch 15mins a day of YouTube content and a recent Forbes survey showed that 75% of senior decision makers in business are watching more video to inform their decisions than every before. Why? Why do humans prefer to watch a video than read text? For surely its not in doubt is it. I would rather watch a short 3 min video about a company than read 3 mins of webpages. More people would rather watch a 90 min movie than spend 8 hours reading the book. And that’s the first reason we should all be using video as a sales tool, you can impart more information in 3 mins of video than you will ever get in 3 mins of written content and decision makers don’t have the time to read for hours to make a choice. When we are coaching bid teams we counsel them against believing that the audience for their pitch have read the RFP, some will have but it’s a minority, who has the time to ready a 100 page proposal. They glance through it, look at the costs and maybe a few pictures and then turn up to your presentation ready to make a decision. Apart from viral marketing (Look at the Tippex Bear advert on YouTube https://www.youtube.com/watch?v=f8CFMPpzjBc ) there is very little corporate sales making it to the platform. That may be the problem, YouTube isn’t really the right platform for corporate. It’s not secure, it’s not controllable and unless your careful once your content is up, they own it! But even more reliable, more secure video platforms like Kulu Valley (the guys Apple use) don’t really get used for sales pitches. The answer lies in the fact that YouTube content works because its amateur in nature. Kids, webcams and PC video editing, its cheap, quick and easy to create content if you don’t care about what it says about your brand. But if you do then it’s far from cheap, definitely not quick and often as complex as hell. Until now! We decided to build a TV studio at our offices so that we could produce videos of client’s presentations quickly and easily but as we did the research we found that technically it isn’t easy to do. I thought that a good camera and a large plasma screen would work but it doesn’t, something about lights resolution, exposure but for whatever the reason it’s a non-starter. So we looked at green screen technology but while it delivers a good video, it’s amazingly difficult to use; looking at things that are not there, is counter intuitive and takes practice. We found that a 20 min video needed a day in the studio and at least 2 days in post production (sooo expensive!) to get a reasonable result. Then we found Sight Deck! OMG! Its fantastic, just a screen and projector, step in front give your presentation as normal and stream the result to the web. No post-production, no retakes, no hassel but OMG! It’s the future though; once you’ve used it you want it. The content is professional, slick and takes minutes to record, it is everything you need to make great content. 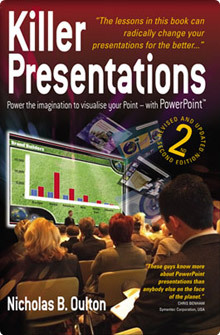 We think its about making great presentations better.. take a great PowerPoint and broadcast it to the world.. I was chatting with a prospect the other day who was telling me how now we were coming out of the recession he thought he needed to change sales tactics.. So I pointed him to an old blog of mine from October 2008.. yup 6 years ago right at the start of the credit crunch..